Whether it’s a boat trip, hiking trip, fishing trip or a trip to Grandma’s house, - Cobra Electronics work to ensure you get there safely, stay connected and your important memories can be shared and that even in the most remote location you can charged up and keep running. Cobra believes that you shouldn’t be alone when you are out tackling your adventures. We’ve got your back. Visit Cobra.com and enter a promo code SEATOW18 for 20% off all orders on Marine, Action Cams & Power products. 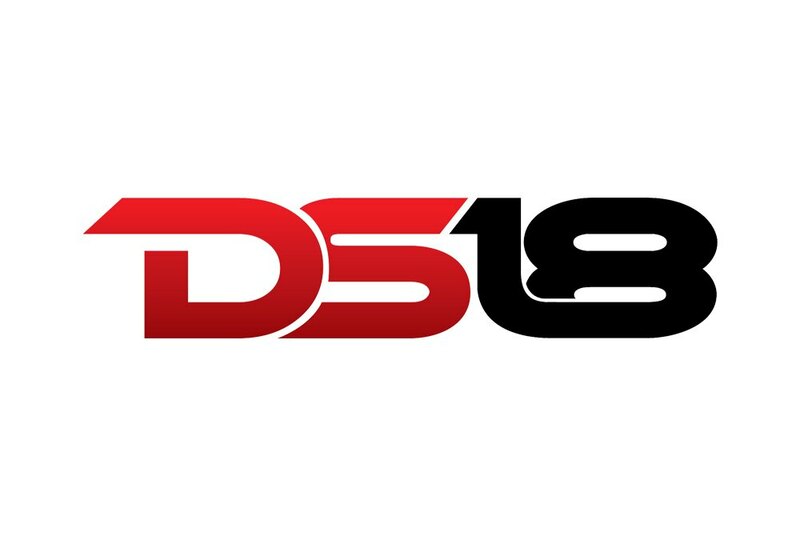 DS18 is a leading electronics manufacture of electronics; marine, mobile and home electronic equipment. From LED lights to subwoofers and driver towers, all our line is tested with high standard procedures that simulate exposure of real life circumstances to deliver our costumers years of trouble-free enjoyment. Navigate with confidence blasting your favorites tunes, DS18 uses top quality materials to guarantee excellence, durability, consistency and maximum performance. Visit https://ds18.com/ and enter promo code seatow15 to receive 15% off your entire order! Flitz Polishing products have been used and loved for more than 40 years. Everything started with a father and son who had an idea to create polishing products that would be universal, effective, and easy to use. Our signature product is our universal “blue” polishing paste. We make it with high quality ingredients from Germany and manufacture it in Waterford, Wisconsin. Sea Tow would like to offer our valued members a Holiday special. Buy one pair of FishGillz Floating Sunglasses and get one pair free! * Included with every pair is a Free case and Free shipping! A pair of FishGillz Floating, Polarized Sunglasses is the perfect holiday gift! Simply pick any 2 pairs or more and get 50% taken off your order at check out. Visit https://fishgillz.com and enter promo code Gillz50 when checking out. And as always, free shipping in the USA! *Remember, you must pick 2 or more pair for the discount to work at checkout. Sea Tow members save 20% on all Solude Coffee purchases (exclusive of shipping charges). Visit www.soludecoffee.com and use Discount Code SEATOW in the Discount Code box at Checkout. What is ugo? The world's FIRST and ONLY 100% waterproof small profile dry bag and smartphone case that floats and allows you to use your iPhone or Android device to text, talk, email shoot selfies and video. The modern design features a German engineered TIZIP WATERPROOF ZIPPER and ugo is the perfect size to carry just what you need when in and around the water! So grab your keys, cash, credit cards, passport, EpiPen or medication and off you go! Technologically superior, designed for testability and smart looking, the perfect gear bag for your next adventure, lose the worry, not the phone, DARE TO BE FREE! Sea Tow Members receive a 25% discount on the entire cart when you use promo code SEATOW25 on our website at www.ugowear.com . Visit https://marinalife.com and use promo code SeaTow. Get peace of mind while having more independence on the water. Never get stranded with a dead battery again. Weego portable power products jump start boats, trucks, cars, motorcycles, PWCs and more - any engine up to 10L gas or 5L diesel. Incredibly compact. And so versatile. They fast-charge phones and tablets, power 12V accessories and light your way with tactical-grade flashlights up to 600 lumens. Durable, premium-quality components. Plus, they offer up to 3-years of standby power on a single charge. Award-winning, USA-designed and engineered, independently lab tested, verified specs and a crazy-long 18-month warranty are your assurance that Weego is the way to go! 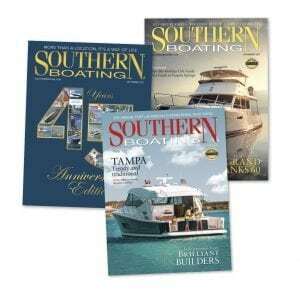 Southern Boating publishes the best of the boating lifestyle each month. Each issue includes reviews of vessels 30-100 feet; cruising destinations with detailed resources; innovative marine products; groundbreaking electronics and DIY projects; boating events; fresh, onboard recipes, and much more. Our columnists share their local knowledge for six regional updates from the Chesapeake Bay to southern Florida, The Bahamas, Caribbean, and the Gulf of Mexico and beyond to keep mariners updated on their favorite cruising grounds. Our pages encompass the adventure, luxury and unique spirit that the nautical lifestyle evokes, and Southern Boating inspires a new passion and love for the water and boating. Click here and Sea Tow Members can receive a Free 1-Year Digital Subscription.